A love of coffee since 1890. 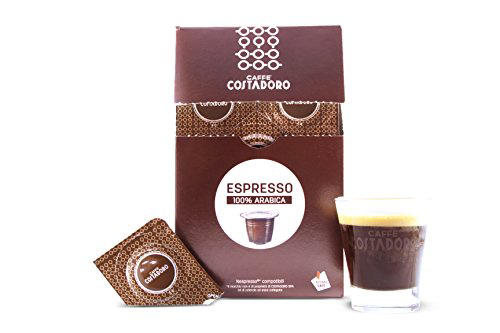 Today the Costadoro Group, a long-established producer of roasted coffee for the catering industry (HO.RE.CA), is one of the most successful industrial companies in northern Italy. With over 150 million cups of coffee served every year, it is a company of international standing, present in around 30 different countries: around 35% of the coffee it roasts every year is produced for the foreign market. Today the company is an essential benchmark for promoting Italian espresso coffee culture all over the world. Thanks to the care and attention it pays to producing coffee, the Costadoro Group has earned its high-level position on the international market. The espresso blend has an intense fragrance and pleasing aroma. Well balance and full bodied, is composed of 90% Arabica and 10% Robusta. The coffee produces an intense hazelnut coloured, finely textured crema, dried fruits and chocolaty notes make It unique. The single origins consist of Guatemala, Honduras, India and Brazil. Costadoro Arabica has balance and is enjoyed for its intense spicy aroma with notes of dried fruit and chocolate. It is a high quality blend enhanced by a strong floral scent with notes of spices. It is Slightly acidic which make for a pleasing espresso, even without sugar. The single origins consist of Guatemala, Honduras, Brazil, Costa Rica and Ethiopia. A blend of different yet complementary single origins, giving an aromatic fragrance of spices, herbs and toast. The single origins consist of Guatemala, Honduras, India and Brazil. This blend is made up of 70% Arabica and 30% Robusta beans. 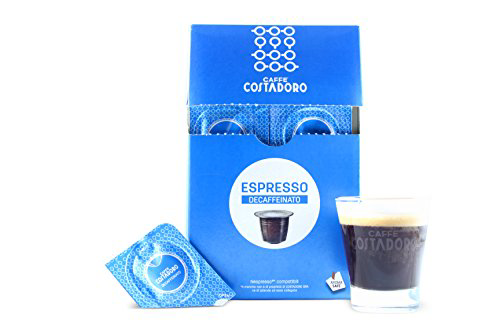 Capsules come in boxes of 10, and are compatible with all Nespresso Coffee Machines.